If you've got a Jeep, chances are you'll want to tow something with it. And if you've got an RV, then you might want to tow a Jeep Wrangler behind it some day. 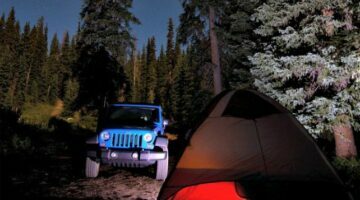 (Jeep Wranglers are one of the most popular tow vehicles in RVing because they can easily be towed four wheels down!) Here's how to tow things with your Jeep... and how to tow a Jeep behind another vehicle.